She went for her eye checkup today at Port City Veterinary Hospital in Portsmouth, NH. 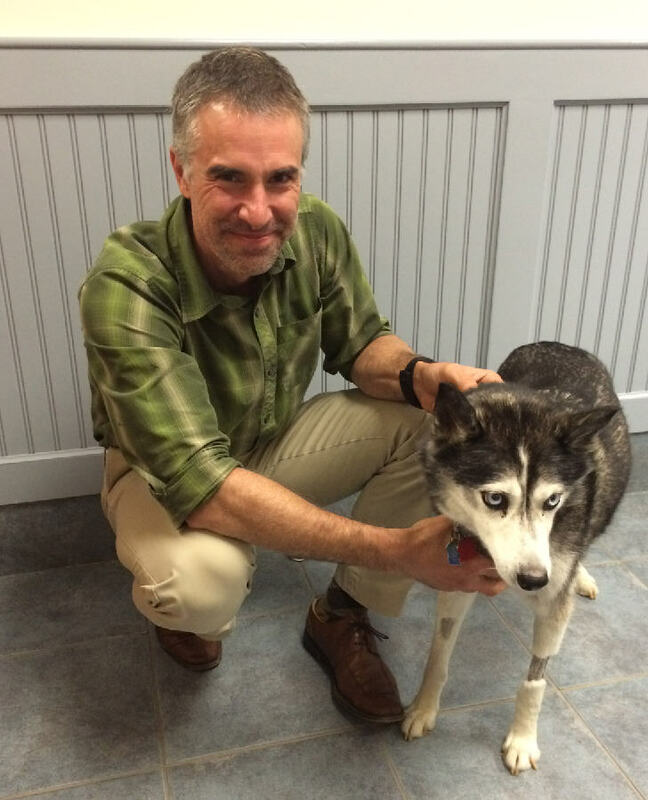 Dr. Cassotis (pictured here with Phoebe) gave her a thumbs up! Eye drops have been cut down to one, three times a day for a week, then two times/day for a week, then one time/day until they are gone. He doesn't need to see her for three months (unless there is a complication). Next week, I do need to take her to see the tech for a pressure test, but other than that, she is good to go! Now for her fur to grow back in on her legs and she''ll be back to normal. I highly recommend Port City to anyone for pet emergencies or specialty surgeries for their pets! Please share Phoebe's page - we are still not close to our goal.